$461 billion -- that’s how much the U.S. mining industry contributed to the country's GDP in 2014. Mining is big business and big businesses rely on big information. Over the last few months, the Algorithm Marketplace released automated tools focused on enhancing agricultural workflows. One algorithm in particular, Volume Measurement, is making waves across other information-hungry sectors, such as mining and landfill management. What is the Volume Measurement algorithm? 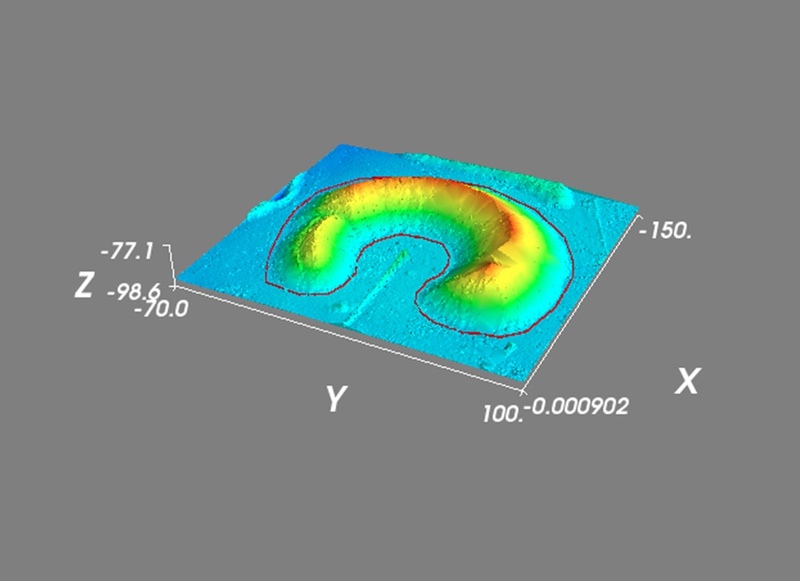 The Volume Measurement algorithm uses 3D products derived from the automated processing in DataMapper to produce accurate estimates of stockpiles, landfills, mining pits and similar structures. The algorithm asks, as its input, the user’s area of interest and then generates a set of outputs that reports the volume of the feature in cubic meters. Why does it matter? Accurate stockpile measurement can go as far as improving the valuation of a company. Mining companies often have their assets laid out in stockpiles -- from raw materials to mined products. In other cases, daily stockpile measurement is used as a means of assessing the operational efficiency of field teams and machineries in order to calibrate strategies, if deemed necessary. Right now, standard methods of measuring stockpiles are tedious and costly. Unmanned Aerial Vehicles (UAV) rectify this by creating automated and consistent workflows, reducing the prospect of human error that usually comes with manual measurement. Instead of sending out warm bodies, you can now fly a drone. With DataMapper, you have the avenue to upload collected images, instantly initiate automated processing and run volumetric analysis. One of the main advantages of UAVs is their unique ability to seamlessly fit into existing business workflows. This gives you an opportunity to radically improve your business tempo without needing to overhaul present systems in order to accommodate it. 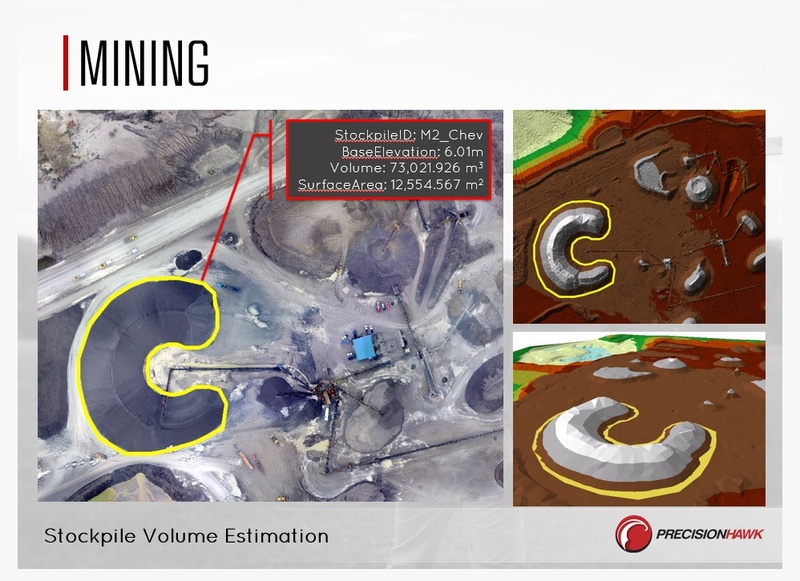 Outside mining operations, the volume measurement algorithm is also well suited for obtaining landfill volume. 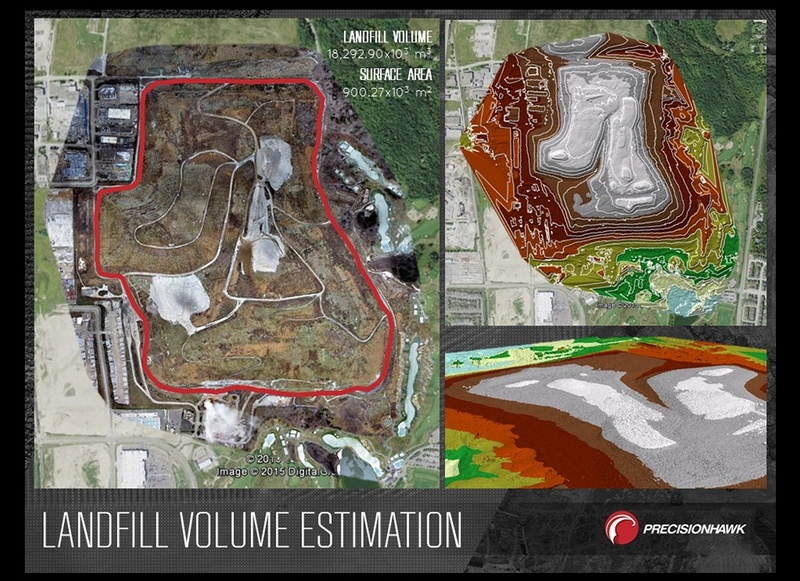 Although landfill management is a complex process, using aerial data analytics drastically helps reduce in-field time and manpower while also increasing calculation accuracy. Accuracy is essential to the primary goal of any landfill operation, which ensures the area is sanitary and environmentally safe. Knowing exactly how much waste volume has accumulated can help with making better decisions on waste compaction. The powerful combination of UAVs and solution-focused analytics, like Volume Measurement, is empowering industries to obtain on-demand business information that remarkably impacts their bottom line. Got a project that can be augmented by the Volume Measurement algorithm? Get started at datamapper.com, or send us a note at info@datamapper.com.